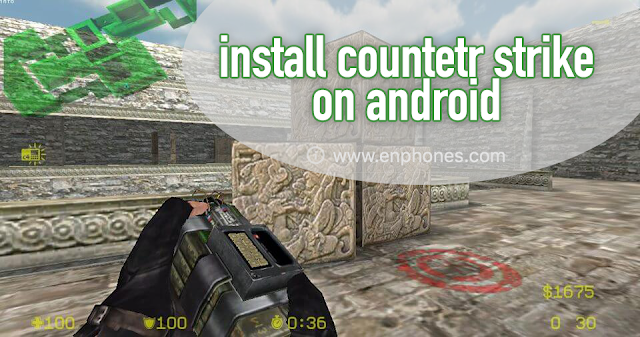 Hello guys and welcome to Enphones for android apps and games tutorials, here we are talking about Counter strike full version for Android with free direct link to download it from MediaFire. Counter strike is a great game for Android devices, and it is nowadays trending a lot on the internet specially on android forums. 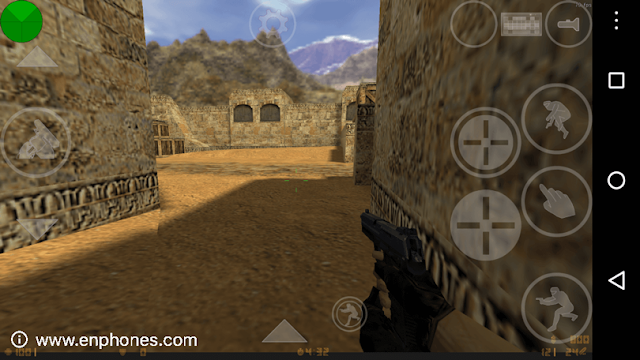 There are many peoples who are playing counter strike on PC, but now you can download it with latest version (counter strike 1.6) for your android device, and play it as you are on computer completely, all that with a small simulator named XASH 3D that help you to play PC's games on android devices with just copping data files/folders to android SDcard. 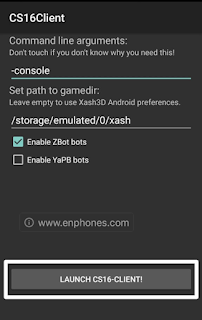 Like i said, there is no official counter strike game on Play Store or an apk file to install it directly, we need to use a simulator to play PC games on android, so, we need to download all files/folders data before start, we will need XASH 3D simulator, counter strike apk, cstrike and valve data folders. Step 3: Move cstrike and valve folders to Xash folder in SDcard, if you don't find it, create it. Step 4: Now open the Cs-client application from Appa Menu and click on Launch Cs-client and now you can play the game. That all! as you can see, this is counter strike game, and we can play it on android device without any issue. 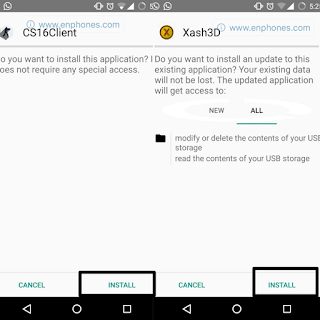 By following this tutorial you can install counter strike on your android device successfully, This was the tutorial about how to install counter strike 1.6 on your Android device. If you face any difficulty while installation of this game you can surely comment below.